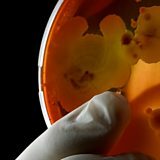 BBC iWonder - How do you weigh a cloud? How do you weigh a cloud? Clouds come in all shapes and sizes, appearing to float aimlessly in the skies above us. But beneath their fluffy exteriors they can be vast and unpredictable and packed full of water. 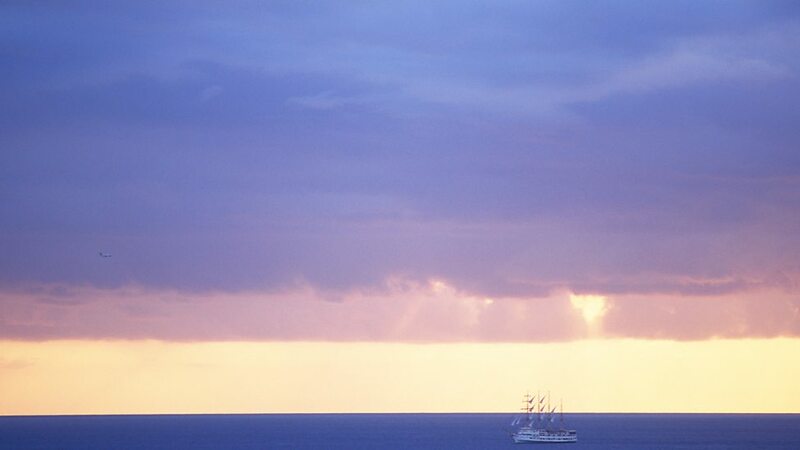 Roughly 70% of all rainwater comes from water that has evaporated over our oceans. Water evaporates as the sun warms the ground, rising as a thermal of moist hot air which cools as it rises. Cold air can’t hold as much water as warm air – which is why high altitude mountaineers become dehydrated – so at a certain temperature, known as the dewpoint, the water vapour starts to rematerialise as tiny droplets of water. This is the beginning of a cloud, but in order to weigh one you must first understand the dynamics. 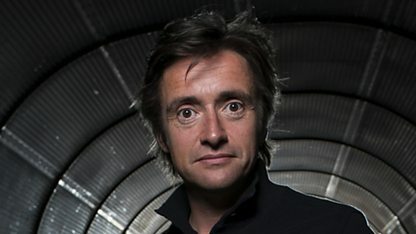 Richard Hammond and Dr Jim McQuaid create a home-made cloud using a wooden box, a cattle trough full of water, a few ultrasonic atomisers and a fan. As the atomisers are switched on, miniature clouds appear as the liquid water is broken down into tiny droplets of water. A plane flying through cloud turbulence. Gazing up at the sky on a calm day you’d be forgiven for thinking that clouds just float around all day. But they don’t. Due to the enormous volumes of water they carry, clouds are steadily falling towards the earth, forever changing, condensing and evaporating. To remain in the air, clouds need another source of energy which is generated by the cloud itself. As water vapour molecules come together in a cloud they release the heat absorbed during evaporation. This causes temperature fluctuations inside the cloud which in turn generate turbulence. Inside a cloud you'll find a maelstrom of air, rising and falling to produce swirling convection currents reaching speeds of up to 60mph. 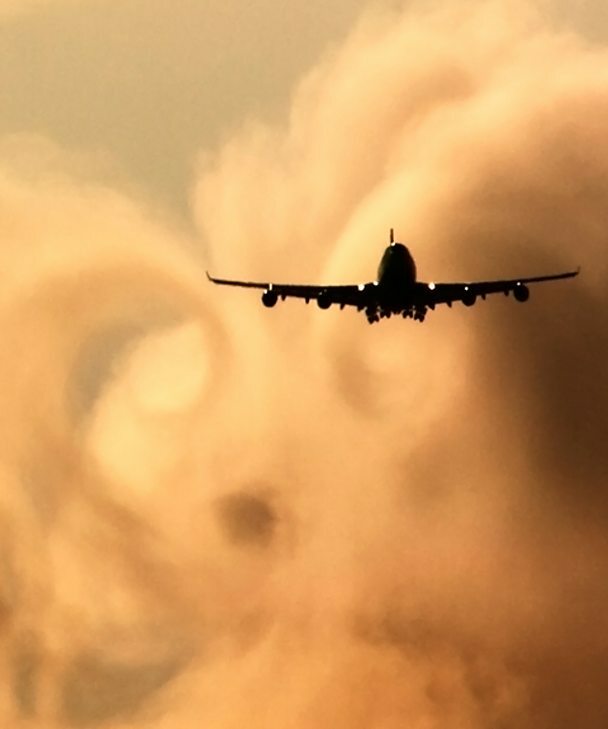 Aeroplanes flying through clouds often experience turbulence in the form of an air pocket (causing the plane to lose altitude) or a violent buffeting sensation that occurs when crossing two different air currents. Atmospheric scientist Jim McQuaid and meteorologist Felicity Aston weigh a cloud. Clouds are very heavy. Even a small cumulus cloud can weigh as much as two elephants and scientists estimate that an average-sized cumulus cloud could contain as much as 200 tonnes of water. Cumulonimbus clouds, which are up to 10 times denser and 1,000 times larger than cumulus clouds, could weigh as much as one million tonnes. 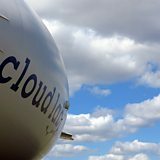 During the BBC series Operation Cloud Lab, atmospheric scientist Jim McQuaid and meteorologist Felicity Aston flew an airship through a small cumulus cloud in an attempt to weigh it. 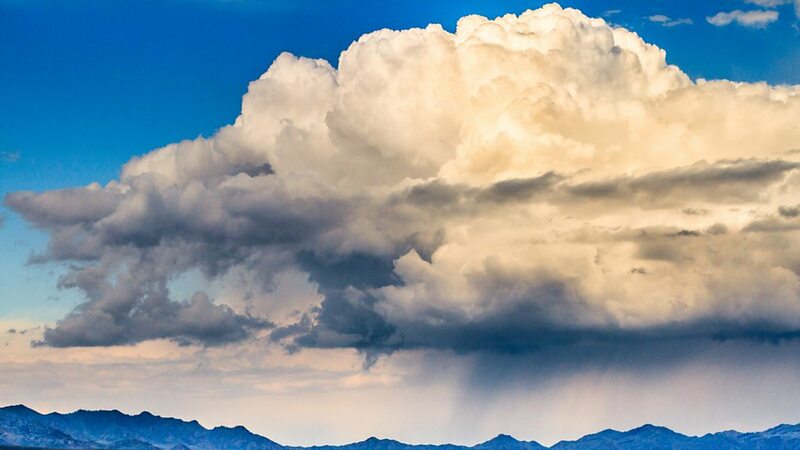 Cloud droplets are spherical and the density of water is known, so the number and size of the droplets can be measured in a known volume (usually one cubic centimetre). Multiply this by the total volume of the cloud and you can calculate its weight. There are 10 main groups of clouds called genera that are divided into three levels – cloud low, cloud medium and cloud high – depending on the altitude at which they are found. 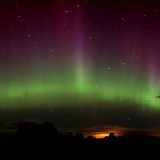 The height and temperature of the atmosphere where the clouds exist will determine whether they are made up of ice or water droplets, and ultimately how much they weigh. 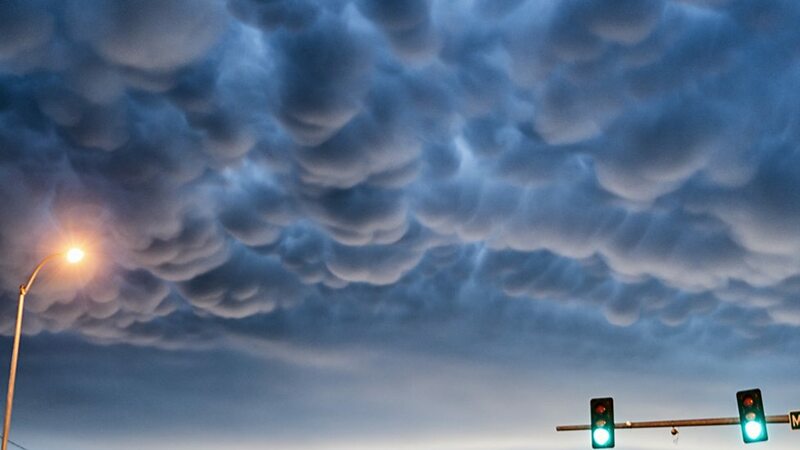 Mammatus (breast in Latin) clouds are not clouds in their own right but a side effect of other clouds, and look particularly impressive with cumulonimbus clouds. Composed mainly of ice, they often form on the back edge of a retreating storm. Stratus clouds are mid-level layer clouds and are fairly boring to look at, mostly producing a flat, grey, overcast sky. Being so thin they only tend to produce light drizzle or snow. 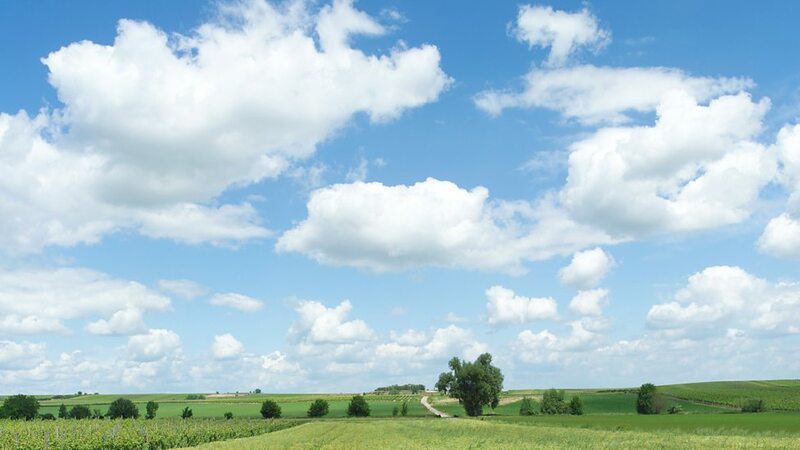 Scattered cumulus clouds showing little vertical growth on sunny days used to be termed fair weather cumulus. As they grow vertically, they become towering cumulus and with strong updrafts they can become deep cumulonimbus clouds producing rain. Cumulus clouds can develop and grow into towering cumulonimbus clouds with cloud tops extending to more than 39,000ft. These clouds contain vast amounts of energy and water vapour which can develop into heavy rain, lightning and even tornadoes. 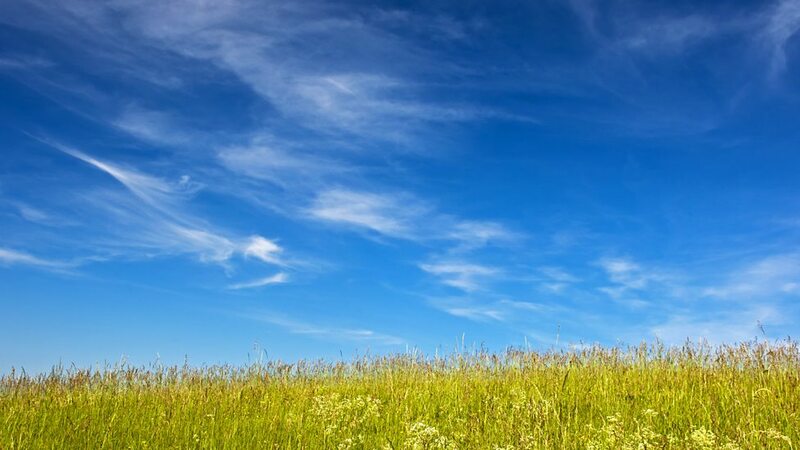 Cirrus clouds are found at high altitude around 20000 ft where their thin and wispy appearance is shaped by strong winds. Due to cold temperatures, the clouds are mainly composed of ice crystals. Cirrus have also been observed on other planets. Altocumulus clouds are mid-level clouds that are sometimes referred to as a mackerel sky. 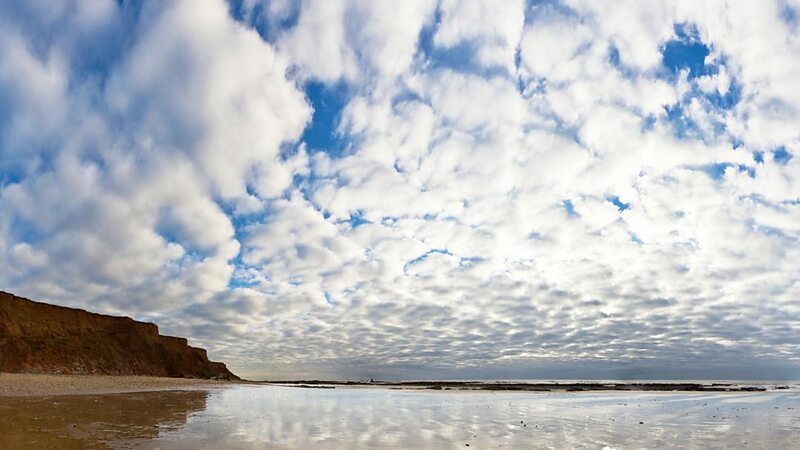 The clumps of cloud known as cloudlets resemble cotton wool balls and can indicate storms if the tops are bumpy, meaning that the air higher up is unstable. 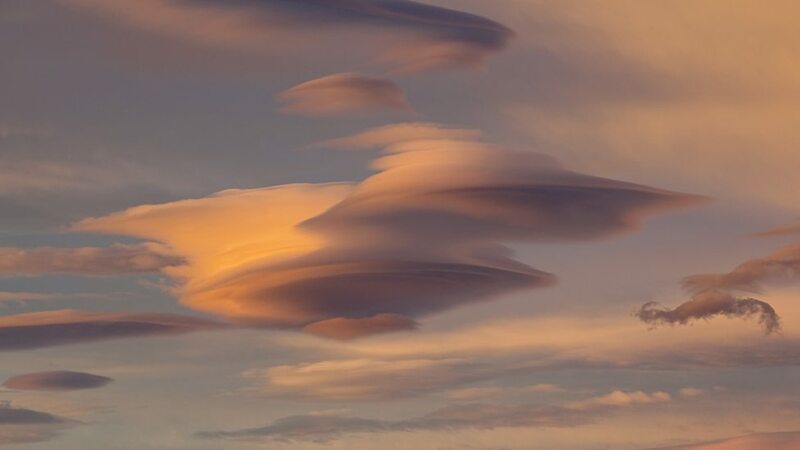 Lenticular clouds are formed by strong winds passing over mountains to produce standing waves in the air above. If the air is moist, changing pressure results in condensation making the UFO/pancake shape of these standing waves visible. What kind of weather is usually associated with the following types of cloud? These low-level clouds are associated with lightning, heavy rain, hail storms and tornadoes. These featureless mid-level clouds cover most of the sky and often mean continuous heavy rain or snow. These thin, wispy clouds signify a change is on the way and can sometimes mean fair weather over the next 24 hours. 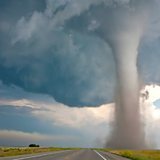 How does a breeze turn into a terrifying tornado? Can life exist above the clouds?